Arnell Ignacio is happy to finally get his degree. Arnell finished a bachelor’s degree in political science, specializing in local government administration at University of Makati. 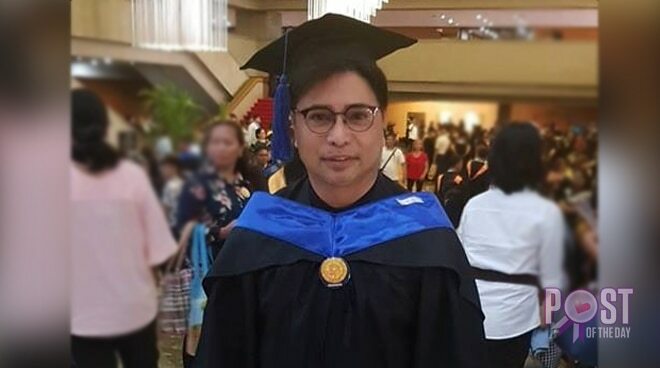 He finally marched down along with fellow graduates yesterday, April 11, at the Philippine International Convention Center (PICC). “Sulit lahat ng hirap!” he wrote in one of his posts. “Last graduation ko, 1981, high school. Ang tagal ko nag-college. 2019 ang graduation. This is truly a masteral of life,” he added. President Rodrigo Duterte appointed Arnell as Overseas Workers Welfare Administration (OWWA)’s deputy executive director last year but the latter resigned last February.